Samsung's short-term plan is already clear - the Korean giant won't be showcasing the Galaxy S8 at MWC and will be focusing on a new tablet announcement instead. 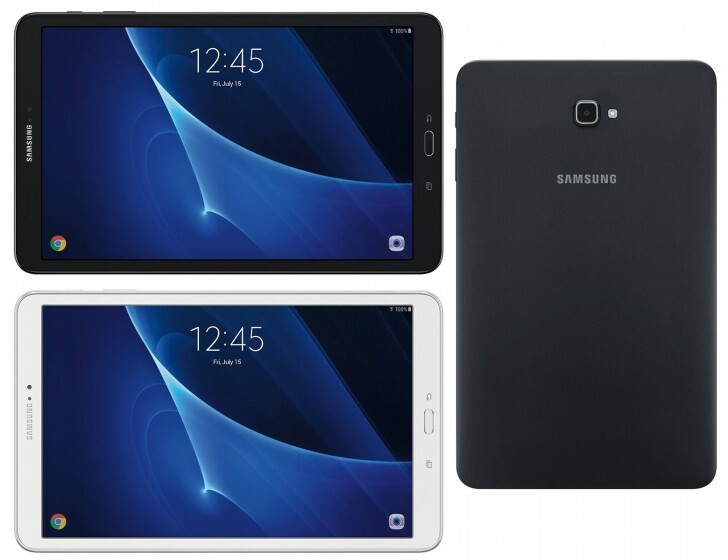 However, that might just turn out to be pretty exciting as well, since the Galaxy Tab S3 is shaping up as the first true flagship Samsung tablet offer in years. 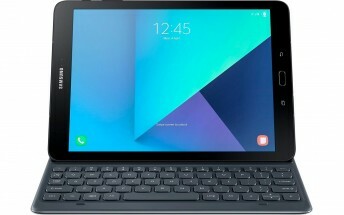 Samsung Galaxy Tab S3 w/ keyboard. We already have a few leaked shots of the Tab S3, as well as a render that proves it will come with an S Pen accessory. Now, a new press picture has surfaced, showing the tablet docked to a keyboard accessory. Hints of something like a 2-in-1 form factor have been circulating in the rumor mill for some time now, but this is the first confirmation we are actually getting of a typing accessory. It looks to be quite sturdy and appears thin and light. At least from this angle, that is. It might still have enough space for a battery of its own. It would definitely need one, if it uses Bluetooth to communicate with the Tab S3. Then again, looking at the keys themselves, there doesn't seem to be a Bluetooth connect button. Unless it is hidden somewhere on the back, the keyboard might be using some physical connection. As for the Tab S3, it has already been certified by the FCC, Bluetooth SIG, and Wi-Fi Alliance, meaning sales could potentially kick off shortly after the February 26 event. In terms of specs, it is expected to have a 9.7-inch 2,048x1,536 pixel display and a Snapdragon 820 chipset with 4GB of RAM. Storage is said to be 64GB of storage and we are looking at a 12 MP rear camera, and a 5 MP front-facing unit.